I had already picked up a Wouxun KG-UVD1P handheld for about $100. But then I saw some reviews of the Baofeng UV-5R. and figured it would be a perfect low cost emergency spare HT which I could leave at the mountain cabin. 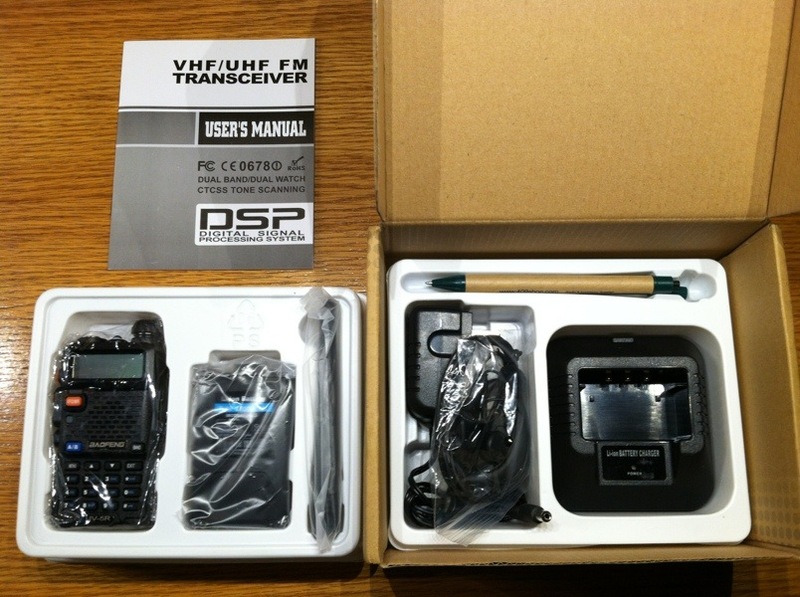 The best price I found for the UV-5R was only $48 shipped from 409shop.com. When I saw that I could use the SMA antennas which I had previously bought for the Wouxun, and I could use my existing Wouxun cable to do the programming, I knew I wouldn’t have any additional “hidden” costs and so I placed my order. Within a couple of weeks, a box wrapped in brown paper arrived from Hong Kong. Here’s what came in the box: radio, antenna, battery, belt clip, headset, charger, wrist strap, manual, and a pen from 409 Shop. The radio felt solid enough for that price point, but the screws for the belt clip were a little too short to grab the threads on the radio. So I have a couple of M2.5 (metric sized) screws on order from a third party Ebay seller. The manual was actually a lot better than I expected. 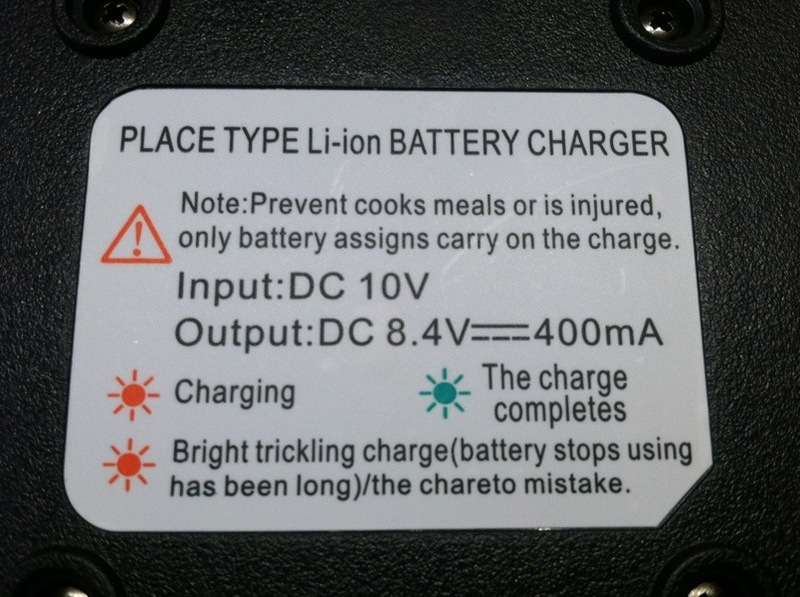 The English translation was a little lacking on occasion, but I was able to figure out what they meant. 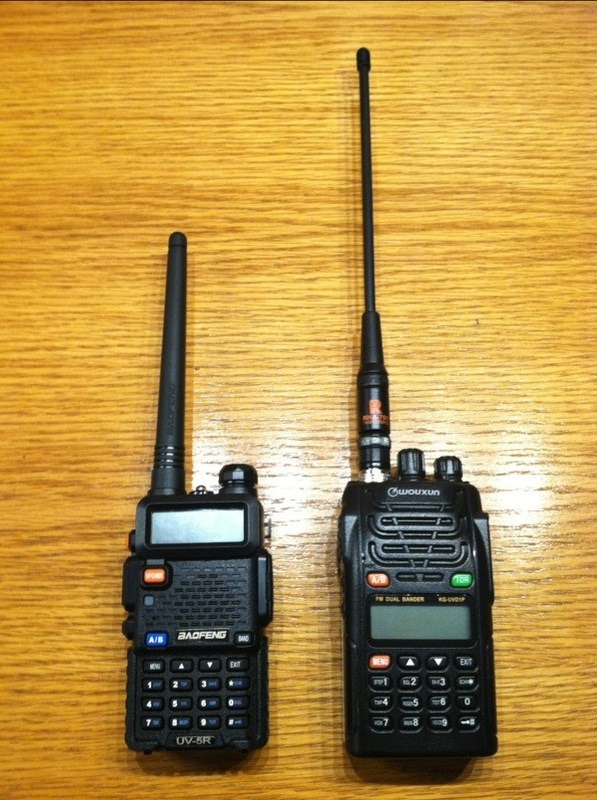 Here is the Baofeng UV-5R on the left, with my Wouxun KG-UVD1P on the right. With the small size of the Baofeng, I feel like I can just slip it in my pocket, while the Wouxun is just big enough that I would tend to prefer clipping it onto my belt. I won’t give a detailed review here, since there’s plenty of other reviews online, and I agree with most of their points. Though one comment I saw summed things up quite well: the Wouxun is like a Hyundai, and the Baofeng is like a Kia. And, of course, neither one is a Cadillac. What both radios have in common is that they are a real pain to program from the keypad. They work best when memory presets are pre-programmed using the software and programming cable, which is fine by me because I have a few “favorite” repeaters and simplex frequencies I use in my area. The Baofeng programming software looks like a slightly harder to use version of the Wouxun software. One thing I learned the hard way is that in Windows 7, you have to right click on the icon and select “Run as Administrator”, otherwise the program crashes when you try to save the file, losing all your hard work entering in the presets. Also, the error messages can be less than informative, here’s what you get when you select “save” but hit “OK” if you forget to type in a file name. When I get more time, I may try the more generic CHIRP software and then use that to upload the same presets to both HTs. 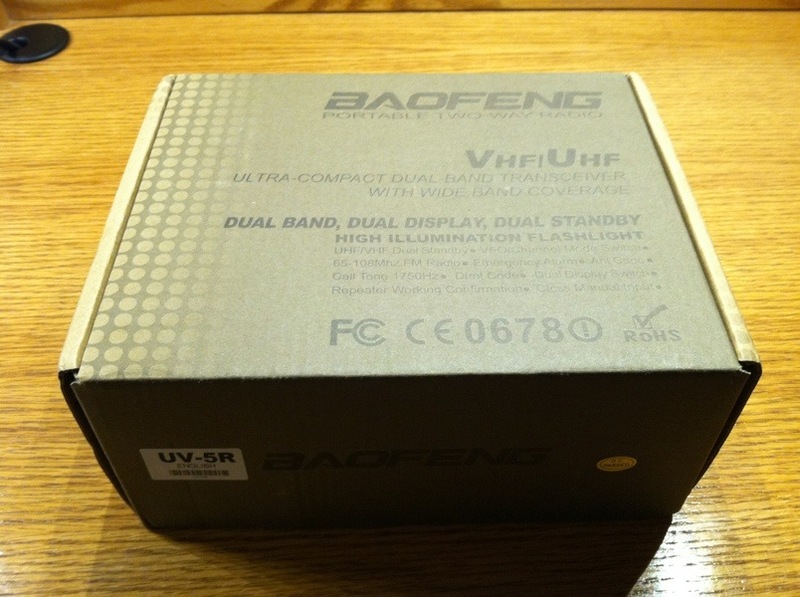 All in all, the Baofeng UV-5R was a good buy, and I just ordered another one to have a spare HT at home. This entry was posted in Radio on June 17, 2012 by BikingBrian. I’ve got the Wouxun (the same model shown above) and I love it. I use it primarily in my car and it’s now powerful, but it’s good. At home, I’ve got an old Radio Shack HTX-242 which has also become a favorite. Programming it took a little time, but that’s okay. I wish there were more American-made radios available. Hi Brian thank you for the review. I plan to buy wouxun and prefer to buy from China. Based on your experience is 409shop.com safe to buy from? Also I plan to use a credit card. Would you suggest paypal instead? I do not have a paypal account set up. My other buy option is cheapham.com and buy from US reseller. Yes, I’ve had good luck buying from 409shop.com via credit card and PayPal. Good luck. I have a Wouxun model UVD-1P with a programming cable from radio mike to USB. Will this same cable work on the Baufeng UV-5R? Hi Will, yes that same cable works just fine! I recently bought a Baofeng UV-5R and already have a Wouxun KG-UV3D and am curious if they can share a common cloning cable and if one can be cloned to the other? They seem so similar so I was curious if you had an answer…. They do indeed share the same cable, and the software for each is pretty similar (although the Wouxun software is a bit more polished than the Baofeng software). I had already programmed the two radios separately, so I hadn’t looked into cloning them. But I had heard of a third party programming software (I forgot the name) which is compatible with both, so maybe you could program once and then do separate “writes” to both radios?